A beautiful pair of British handmade crystal flutes. 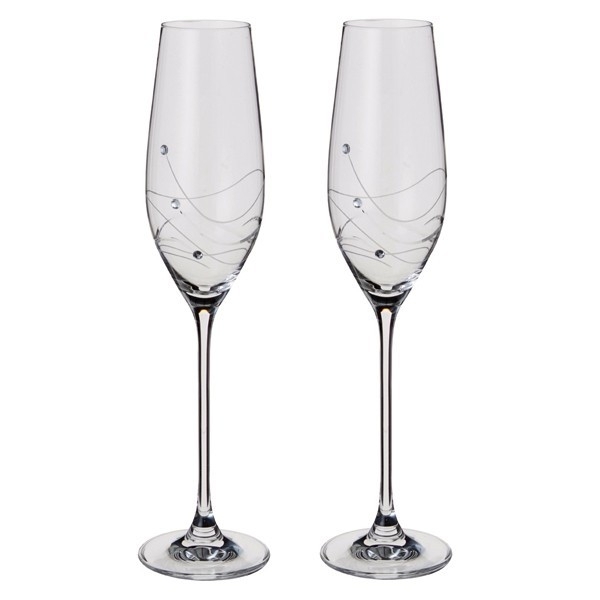 From Dartington's stylish Glitz range, these gorgeous flutes are decorated with Swarovski® crystals for some added sparkle. At 260mm high and a capacity of 21cl they are pure elegance and are perfect for a champagne or sparkling wine or Prosecco of your choice.